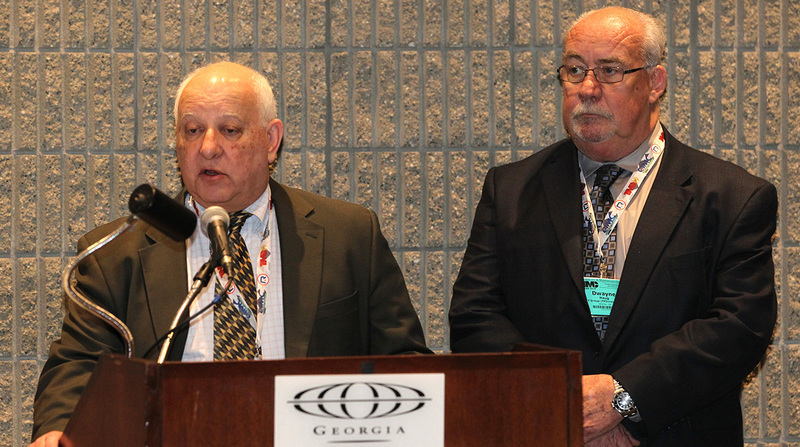 ATLANTA — American Trucking Associations’ Technology & Maintenance Council will expand its research partnership with PIT Group to explore electromagnetic braking systems. TMC develops recommendations for fleets regarding equipment maintenance. The council facilitates cooperation among designers, manufacturers and transportation companies. PIT Group tests technologies and evaluates their energy efficiency. The group, consisting largely of engineers, aims to help manufacturers and fleet executives select technologies that reduce costs and environmental impact. Representatives from TMC and PIT Group announced their research plans at TMC’s annual meeting March 17. TMC Technical Director Jack Legler said the idea to look at purely electromagnetic braking systems originated from the council’s Future Truck Committee. Electromechanical systems, as electromagnetic brakes also are known, are operated by “intelligent technology.” Legler said that these systems may experience less mechanical failure than the traditional pneumatic systems, which rely on air pressure. Beyond that, he identified electromechanical brakes as an important field to study as automated technology becomes more prevalent in trucks. Dwayne Haug, business development consultant for PIT Group, said research on these brake systems will start immediately and proceed “slowly and methodically.” After researching the brakes, the groups will work with original equipment manufacturers and suppliers to test them on a controlled track. Legler said the next step would be to seek waivers for road tests from federal officials, as such brakes are not allowed on U.S. or Canadian roads. A final step would be to work with policy experts to develop parameters for using electromechanical brakes. Haug and Legler also announced that the groups will continue their fuel-efficiency research. Specifically, they will continue testing the aerodynamic fuel-efficiency calculator. The calculator, one of TMC’s Recommended Practices, is being reviewed for an update. Haug said that PIT Group and TMC have been collaborating for a while and solidified their joint testing partnership in September with a memorandum of understanding.